It is said that well used to de called "Ginmei-sui" (water of high silvery quality). 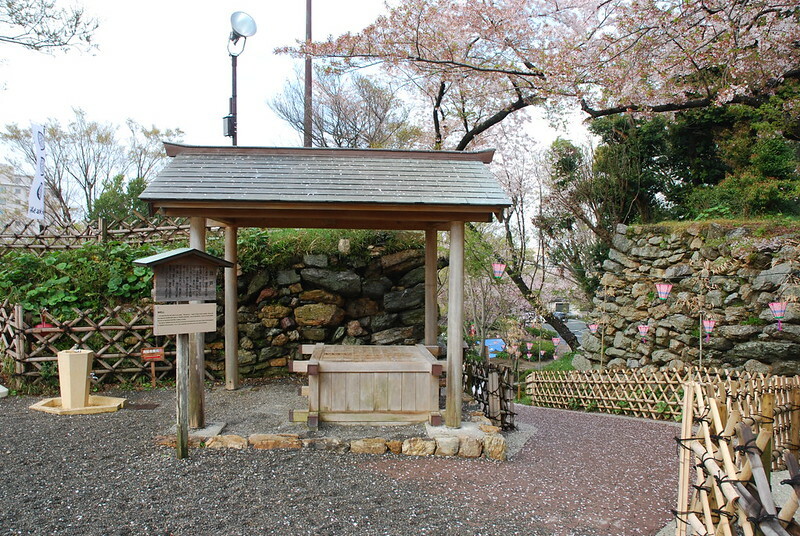 There was one near the UZUME-MON gate for TENSHU KURUWA, one at HON-MARU, there for NI-NO-MARU, and four at SAKUZA-KURUWA, totaling 10 wells. 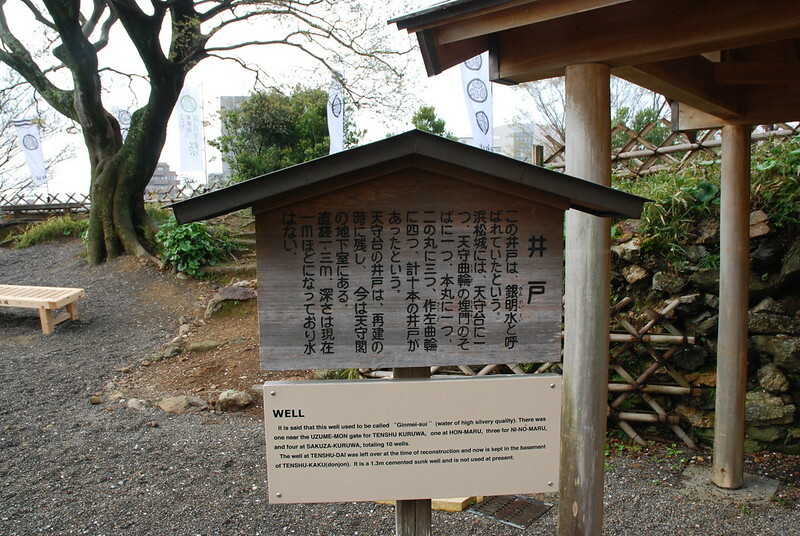 The well at TENSHU-DAI was left over at the time of reconstruction and now is kept in the basement of TENSHU-KAKU (donjon). 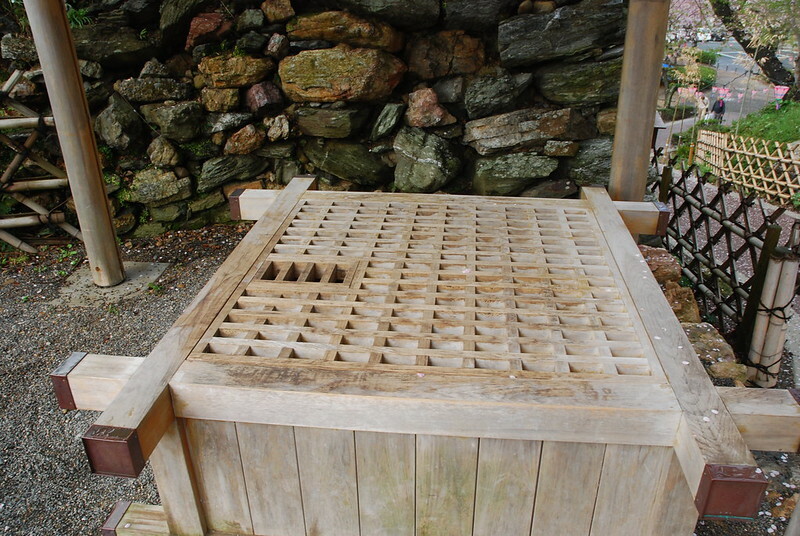 It is a 1.3m cemented sunk well and is not used at present.